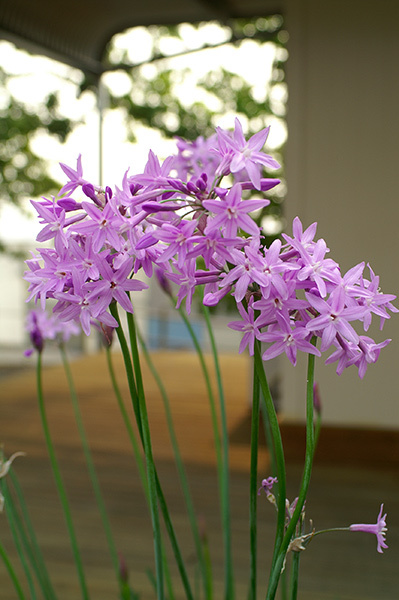 A very hardy, clump forming perennial with fine, grass-like foliage. Long flowering from spring through to late summer. 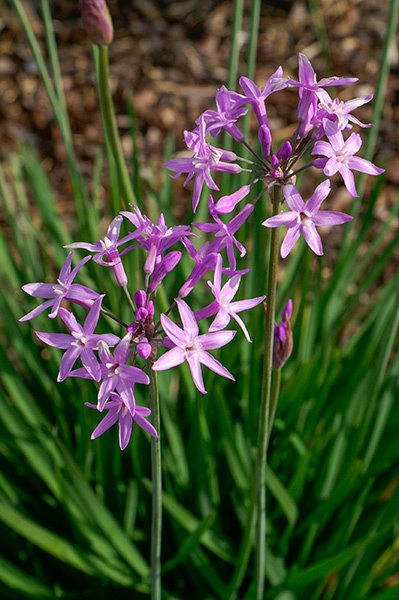 Shell pink, star shaped flowers provide a prolific display. Ideal for low water use gardens. Foliage is very fine and grass-like in appearance for added textural value - complementing larger, broader foliage plants positioned behind. Water requirements are low. Once established, very dry tolerant. Will tolerate long periods of drought, but will flourish with only an occasional long soak during extended periods of heat. 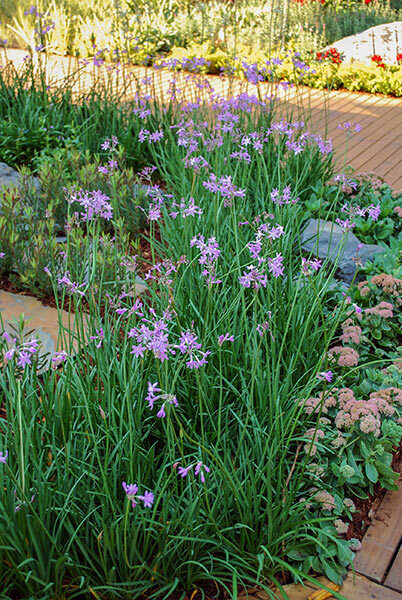 Tolerates most soil types, but thrives in well drained soil containing plenty of compost. Apply a slow release fertiliser in spring. • Containers and mixed planters. • Edging for pathways and garden beds. • Cottage, vegetable or herb gardens.